Archie's back! And he's finding waiting a little bit hard. There are SO many fun things to do. The problem is, he just can't wait! Archie wants to do everything ...NOW! This hilarious picture book, starring adorable little rhino Archie, is a must for fans of No!, Why? and More! With laugh-out-loud writing and fun illustrations from Tim Warnes (The Great Cheese Robbery, Dangerous! ), Now! 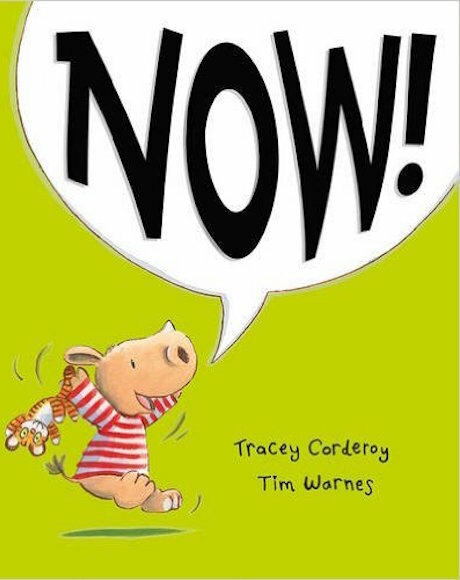 is the perfect story to share with impatient toddlers who want everything ...NOW!